Oakleaf has introduced the Masternaut Connect system across their 127 vehicle fleet to replace their previous system, whilst managing to achieve Gold Fleet status, outperforming the Masternaut benchmark in terms of fuel efficiency during the first year. They needed a solution that could have easy access to and would keep track of all the key areas including vehicle speed, location, arrival and departure times, CO2 emissions, fuel consumption, MPG, harsh breaking and acceleration events and idling, which their previous system couldn’t do. 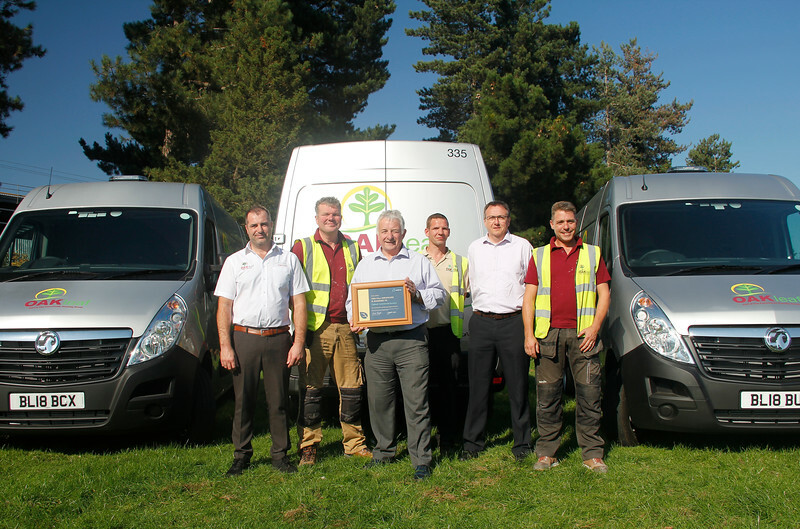 The above has also contributed to achieving an estimated annual saving of £9.5k in fuel costs for the company. There has been a very positive reaction to the system and drivers have adapted and improved their driving styles to be much better and safer. The Oakleaf Grounds team has also recently replaced seven of their Tipper vehicles for more cost effective and secure vans (pictured), which have customised racking to efficiently transport the mowers and gardening equipment.